Pet Supermarket is the Nordstrom of pet stores, providing top-of-the line pet toys, treats and supplies. The company sells more than 10,000 pet care products, including food, toys, medicine, and clothing, through its website and more than 135 stores in a dozen states, primarily Florida. Revenue is upward of $230 million. Operating as a hub and spoke operation as franchisees the central office was looking to achieve more potential automation. Their new IT manager had come from a situation and new SharePoint was a good technology fit to remedy a lot of the process of collaborating with new store openings. After several reviews of their current process that were mostly Excel-based a draft plan for building an application that would make it very difficult to drop the ball on any of it interdependent steps for opening a new store. For instance you must order the crickets and the cricket warmer before the lizards arrive or else no one is happy!! 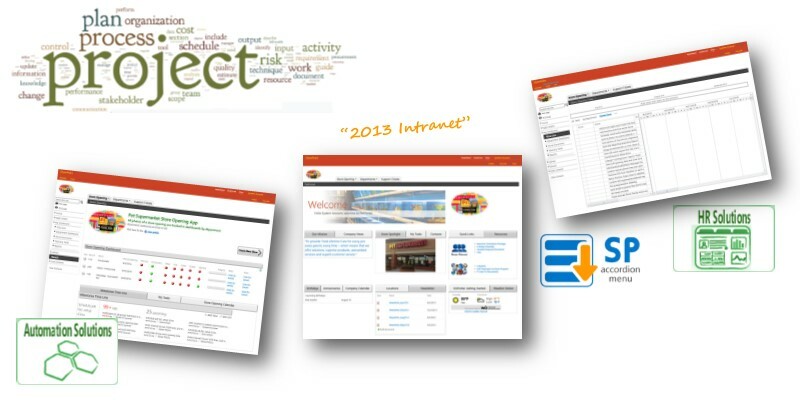 We worked closely with their IT department to design a two-tier SharePoint 2013 farm..
We installed our Porteo intranet as a baseline since it brought with it many were navigation enhancements and branding. We transferred our store opening app is a subsite of their new portal and we worked closely with their team through several iterations of tweaks to its operation. The store opening app works as designed and via one click a new store project is populated with 80 tasks. The system is flexible and can be modified quickly as desired by our client using just a browser. Great documentation makes this possible. Through this apps ongoing use the stakeholders are envisioning enhancements. We continue to provide support and ongoing assistance to support its adoption and ensure that pet supermarket gets the best ROI from this technology investment. Our firm has been providing Microsoft SharePoint consulting services since the first version of SharePoint and we've developed many SharePoint navigation apps that will make your SharePoint friendlier and easier for your staff to use. We invite you to learn more about our SharePoint Mega Menus and SimpleTabs as well as our zero business outage SharePoint migrations here and contact us today!